Pools like any other house construction need better care and regular maintenance for longer operational life. For in-ground pools, winter season is not considered an ideal exterior environment, especially in the regions experience substantial dipping of mercury during this time period. Low temperatures during the winter can inflict considerable damage to the constructed pools. To counter these ‘chilling’ effects of winters on swimming pools, a procedure of winterization has been introduced by pool experts to preserve the longevity of the whole setup. There are multiple reasons highlighting the importance of winterization of pools. Let’s get through them one by one. Water expands when it reaches closer to its freezing temperature. It is a universal phenomenon proven by science. So, if you are not preparing your pool for winters, the piping of plumbing system supplying water to the pool can incur severe damage due to the cracks and pipe-bursts caused by the expansion of water in freezing winter temperatures. Since pipes connected to pools are more exposed to the extremely low outside temperatures, therefore it is very important to drain out the water pipes before closing the pool for winters. Treating plumbing pipes with antifreeze while draining also makes it sure there won’t be any frost buildup during the season. 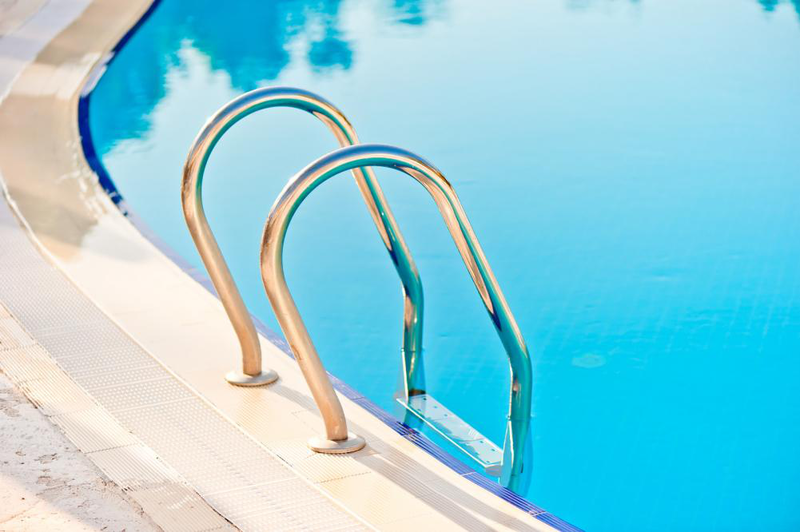 Pools made of concrete are vulnerable to frosting cracks during winters. These cracks occur due to the same phenomenon of water expansion mentioned in the earlier section. The internal meshwork of concrete constructions entraps very small water bubbles which get expanded as the result of significant temperature drop during winters. When all the entrapped water molecules collectively expand in the lining and floor of the pool, it results in the development of cracks in the construction. To prevent this adverse effect of winters on concrete pools, application of sealants on the overall surface of the pool can help in reducing and preventing this frosting damage. Winterization of pool includes the complete draining of all the pool-related fixtures including filters and skimmers. Not just because they can be damaged due to water expansion, but also due to the fact that traces of moisture remained for a long time can result in the growth of algae, fungus and mold in and around the pool. The above discussion has clearly highlighted the features and importance of winterizing the pool. Winterizing of the pool gets concluded by covering it with a suitable and durable winter covers. It helps in preventing debris to end up in the pool. It also prevents the accumulation of water or snow in the pool in case your area receives a seasonal rain or snowfall. Some other winterizing accessories are also available from a good pool stores to help you with preparing you pool for the season in the finest manner. So, if you haven’t done the winterization of your pool yet, immediately get on with it because WINTER HAS ALREADY COME.